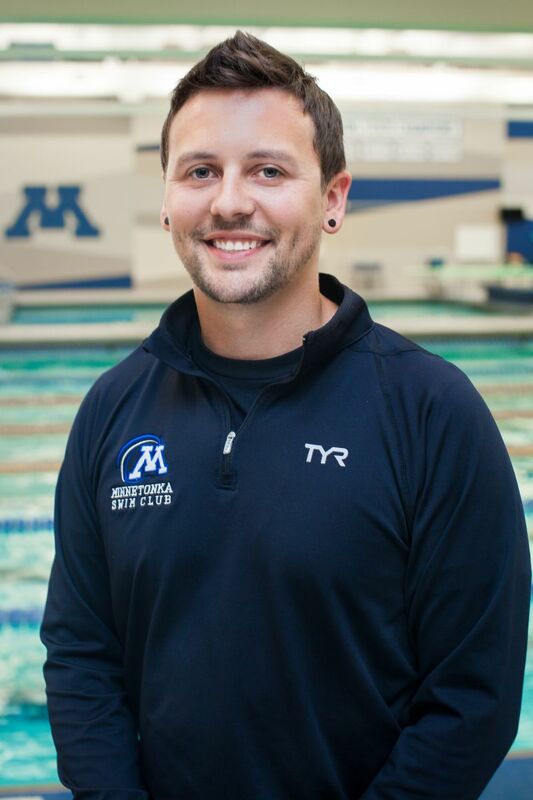 Dan joined the Minnetonka Swim Club staff in 2007 and was named Aquatics Director in 2014. Head Coach Dan Berve is originally from Papillion, NE. He is a former high school All-American who led his team to the 2003 Nebraska state championship and enjoyed personal wins in the 100 back (2 years), 200 free (3 years), and 500 free (1 year). As a swimmer at the University of Minnesota, Dan was a 2006-07 team captain, five-time All-American, five-time Big Ten finalist, two-time CSCAA Academic All-American, and ranks third all-time at Minnesota in 100 fly, fifth in the 100 back, and ninth in the 200 back. After graduating from college in 2007 with a B.A. in Political Science and Spanish Studies, Dan earned the opportunity to compete in the 2008 Olympic Trials in the 100 fly and 100 back. He then pursued his coaching career at various U of M camps and summer leagues. 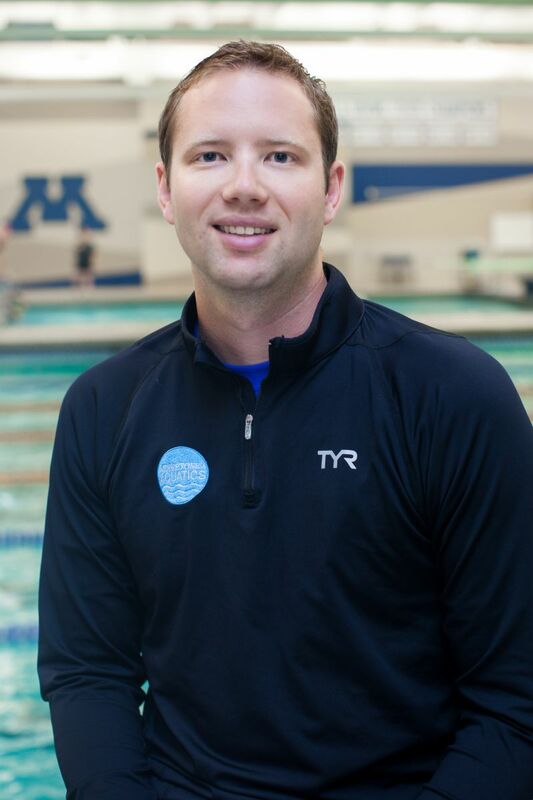 In 2007, Dan started coaching part-time with the Minnetonka Swim Club, another program of Minnetonka Aquatics and Minnetonka Schools. He took a year off before becoming a full-time coach in 2009. Since coaching for Minnetonka Swim Club, Dan has coached multiple state and zone champions, National Top 10 athletes, and state record holders. In 2012 Coach Dan received a Masters of Education in Applied Kinesiology, focusing on Sport Management. Dan is the Director for Minnetonka Aquatics. He also currently serves as Head Coach for the Minnetonka High School Girls' and Boys' Swim & Dive Teams and has been 6AA Section Head Coach of the Year in 2012 (girls), 2013 (girls) and 2014 (boys). He also is an Executive Member of the Board of Directors for Minnesota Swimming, Inc. (MSI) and has served as the Chair of the Meet Scheduling Committee for MSI from 2013-2016. 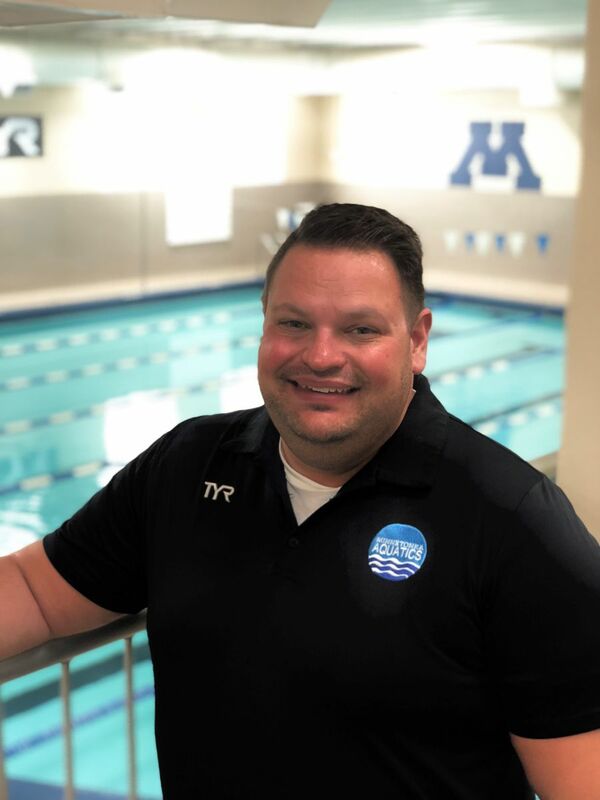 Dan was named Head Coach of the Minnetonka High School Girls Swim & Dive Team in 2011 and Head Coach of the Minnetonka High School Boys Swim & Dive Team in 2013. He continues to coach for the Minnetonka Swim Club as well. Erich has been a member of the staff since the spring of 2014. He served most of that time as the Head Age Group Coach before being named Head Coach in the spring of 2017. Erich started his swimming career as an athlete in Madison, Wisconsin at the age of 6. He attended Middleton High School where he was a state champion in the 500 Free his senior year and multiple time All-American while in high school. From there he went on to attend the University of Minnesota where he competed for the Gophers from 2004-2008. While there, he was a member of two Big Ten Championship teams and earned his varsity letter. Before coming to Minnetonka Swim Club, Erich coached at Interlachen Country Club for three summers and Edina Swim Club for six years. He also served as a Lead Coach with the Team Minnesota Zone Team since 2013. With Edina, he coached a Minnesota state champion 9 consecutive seasons. After moving to Minnetonka, Erich continues to coach his athletes to being state champions, state record holders and reaching new heights. 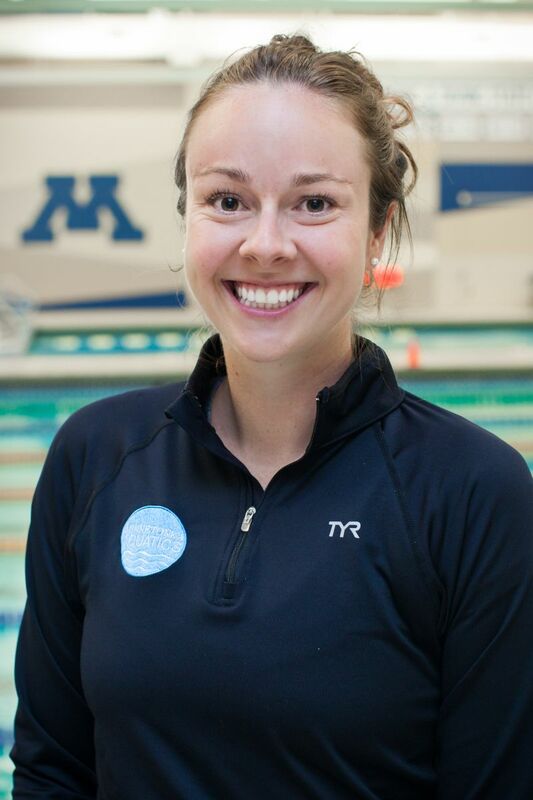 Aimee joined the Minnetonka Swim Club staff in 2010 and was quickly promoted to Coordinator of Minnetonka Aquatics Lessons and Recreation Programs. Aimee's swimming career began in Alabama, where she swam for a YMCA team and enjoyed considerable success as a competitor. She was a four-time YMCA All-American and a three-time inductee into the Southeastern Swimming Hall of Fame. At the University of Missouri, Aimee swam the 100 and 200 breaststroke and the 200 and 400 IM. She lettered all four years of her college swimming career. Her strengths as a coach and in lessons come from her experiences coaching in an Alabama summer league and assisting at University of Missouri swim camps. Aimee is currently the Team Minnesota Age Group Zone Team Manager. Scott joined the Minnetonka Lifeguard staff in 2005 as a Lead Lifeguard with several years of lifeguard experience. He was promoted to Aquatics Supervisor in 2008, mentoring and overseeing over 50 lifeguards and 10 area beaches . In 2010 with the development of Minnetonka Aquatics, Scott was asked to serve as the Lifeguard Services Coordinator. Scott’s love for swimming and water started early on when he would swim daily at the local pool only a block away from where he grew up. When he was 15 years old, he became an American Red Cross Lifeguard and worked at the same pool. Since then Scott has worked continuously as a lifeguard, swim instructor, and lifeguard instructor for over 20 years at a variety of different pools, aquatics centers and beaches in the Twin Cities and on the North Shore. At the start of 2014, Barb is heading into her third season as the Masters Swim Coach for Minnetonka Swim Club. She is certified as Level I and II Masters Swim Coach and is a current member of ASCA (American Swim Coaches Association). As a Master's swimmer, Barb was a National Record Holder and All American in the 50 Butterfly (2008-2009). She continues to compete in Masters Swimming, where she remains nationally ranked in the Top 10. Barb also competes in local triathlons and open water swimming events. A high school and collegiate All-American, Barb has been inducted into Southern Illinois University's Hall of Fame; in high school she also was a four-time Illinois High School State Champion. With a B.S. in Community Health from Southern Illinois University (1985) and as a graduate from the College of St. Catherine, MN as a Physical Therapy Assistant (1996), Barb balances family, work, and coaching with officiating at meets as a United States Swimming Starter and Stroke and Turn Judge.